Gardening is a fun hobby and once you are indulged in, you cannot live without your own hand-grown garden. This often develops into collecting different breeds of flowers and plants, and along the line, you become an un-credited botanist, as you learn so much about plants with experience and practice. Of course, your garden is like a private lab and your are free to experiment. Here are a few useful gardening tips and tricks you should try, in order to let your plants grow better. Salty Clay Pots : To remove salt deposits from the clay pots, mix white vinegar. Rub alcohol and water in equal quantity and scrub the solution in and around the salty pot surface with a plastic brush. Dirty Finger Nails : Before the soil can get into your fingernails, scratch them against the surface of the soup to fill them up and seal the crevices. Jamming / Breaking Trimmer : Spray vegetable oil and let it do its magic for a couple of minutes before use. Plant Frostbite : It is a common issue in young plants, but if you use little clay pots, this problem can be easily avoided. Labelling / Categorizing Plants : Use permanent marker to write names of the plants on a flat surface or ovoid stone and place them near the base of the plants, affixed in the mud. Aphid Problem : Use a flexible garden hose water pipe to direct the pressure of water on the leaves. Alternatively, wrap a wide strip tape around your hands, keeping stick sides outwards. Now pat the leaves thoroughly, especially the undersides which receive greater aphid infestation. Vegetable Soup Diet : When you boil the vegetables, the residual water is wasted. However, you can use it to nourish your garden and the results will awesome. Acid Loving Plants : Some plants such as azaleas, rhododendrons, camellias, gardenias and even blueberries grow well in the presence of acids. You can use small amount of powdered tea or coffee and sprinkle them onto the soil, they are efficient acidifiers. A single dosage is enough to keep the pH levels high enough for months. Damping-off fungus : Young seedlings are very susceptible to fungus invasion. A good home-made remedy is chamomile tea, which can be added to the soil on a weekly basis, so the seedlings could grow big enough to resist the fungus attacks. Drying the Herbs : Spread a sheet of newspaper on your car seats as a bedding, cover them with single layer of herbs, and then with the windows rolled up, lock all the doors. This method proficiently and quickly removes the moisture inside, additionally creating a good aroma in your car. 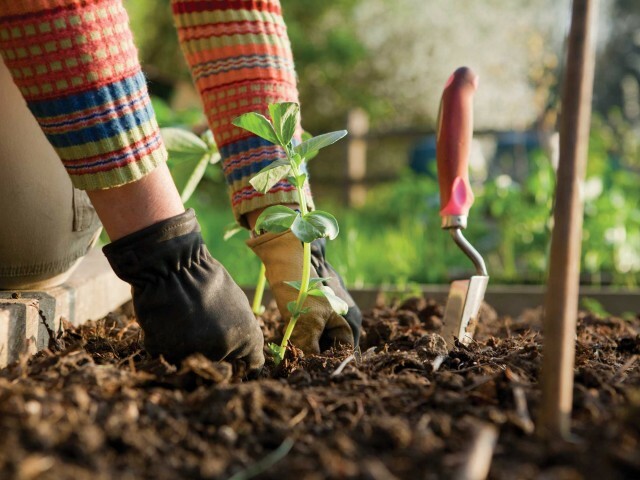 These are some useful gardening tips and tricks that additionally may also require GearBest.com garden supplies to keep your oasis sengreen.